In Yoga, Breath & Meditation we focus on preparing your body and mind for meditation. 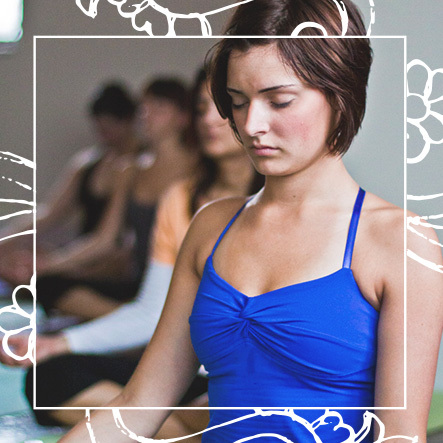 We will begin with an energetic flow to warm and settle the body, followed by Pranayama (breathing practices) techniques to help quiet and steady the mind before we end in meditation. You will leave with a sense of clarity and feel balanced in body and mind. Come join us for some quiet time.